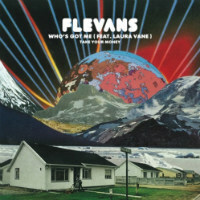 ‘Whither next for Flevans?’ you might ask regarding the party breaks veteran who has lately signed to Jalapeno – a natural artist/label fit if ever there was one. Turns out the first destination on this new stage of his musical journey is a vinyl 7″ featuring a certain Laura Vane – last heard of in these parts in the company of The Vipertones. What’s that Laura – Who’s Got Me? Well it’ll be Flevans won’t it – having wrested you away from the pop direction of The Vipertones’ later work to the broken disco beats of this 45’s A-side. And what about the flip? Well, here Mr F offers something more along the lines of the funky breaks with which he has become associated and rife it is with big clattering breaks, strings, smoking organ and wah guitar. Take Your Money for this vinyl 7″? Flevans doesn’t mind if he does. 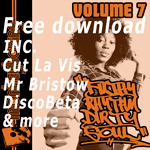 Basement Freaks Renegades Of Jazz Free download Jazz Badboe nufunk Jalapeno Records Fort Knox Five Record Kicks disco The Allergies Dirty Dubsters Rory Hoy 7" breaks ghetto funk Bulabeats latin psych Morlack Remix trip hop Fort Knox Recordings Smoove review Soul Mr Bristow reggae Tramp Records vinyl Breakbeat Paradise Funk hip-hop Electro swing video Ewan Hoozami BBP glitch-hop Chart vinyl 7"